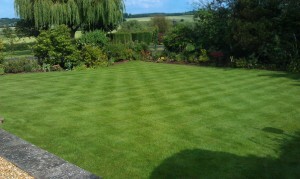 We believe that the best people to care for a lawn are the people who mow it and edge it on a regular basis. Why? We do not simply see snapshots of its behaviour but get to know how it reacts on a weekly basis and with the seasons. We can react immediately to its demands and any attacks on it, by pests or disease, throughout the growing season. 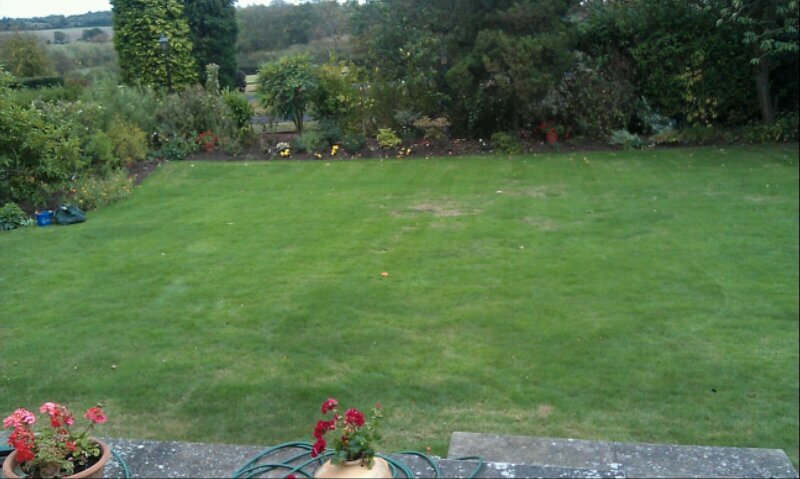 One of our customers was dissatisfied with the service provided by the lawn care company they had been using. We worked on their lawn and they were so pleased with the results that they entrusted us with the overall care of this lawn and two smaller ones at the front of their property. When we first arrived the lawn was patchy, and full of thatch and moss in spite of being under a regular treatment plan. 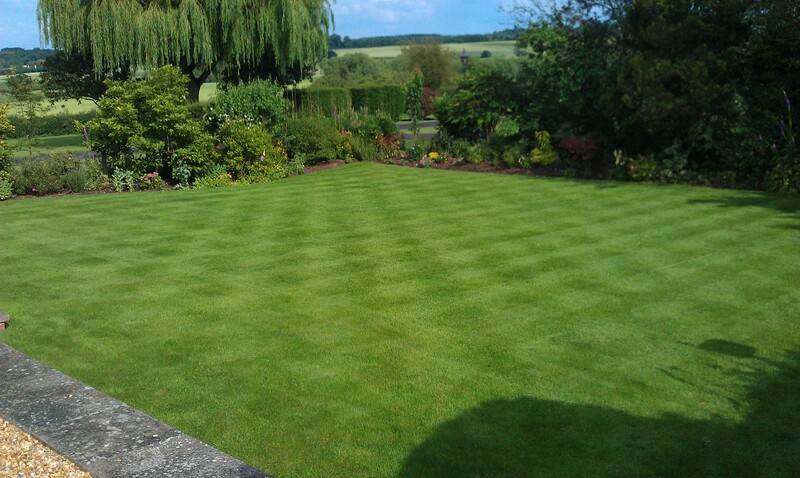 Our approach is to investigate what is causing the problems in the lawn and then to implement corrective practices to create the best possible growing conditions allowing the lawn to flourish. We test Soil samples to check the ph of the soil. In this case it showed the soil was acidic. The nutritional status of the soil was also poor, lacking nitrogen, potash and phosphate to differing degrees. The customer was absolutely delighted with the results. As with other lawns we have under our management, monitoring is ongoing and the care plan is adapted as a when necessary to take into account seasonal affects and other factors that may detract from its wellbeing.